Steve Reed has welcomed legislation to expand the National Citizen Service, which offers volunteering courses for young people aged 16 and 17. 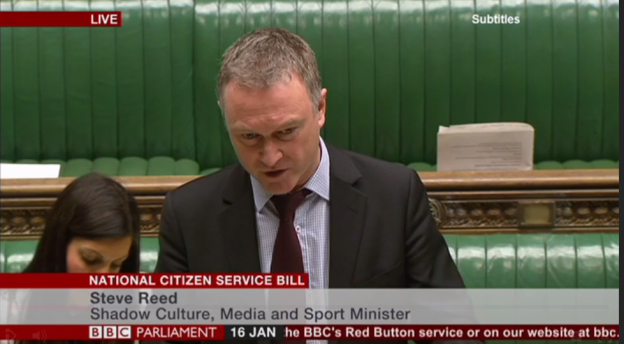 As Shadow Minister for Civil Society, Steve led Labour’s response to the National Citizen Service Bill. The Bill is now set to clear the final stage in the Commons before becoming law. Over 300 young people from Croydon North took part in NCS last summer. NCS offers young people a four week course designed around living, working, and volunteering with others from different backgrounds. Applications for the Summer 2017 programme are open here. “This Bill will play a very important role in the life of the country going forward.